We heard you clearly when you told us you wanted a more flexible, streamlined process to combine continuing medical education (CME) activities with Maintenance of Certification (MOC) requirements. The new partnership between the Accreditation Council for Continuing Medical Education (ACCME) and ABIM now gives ABIM Board Certified physicians access to more accredited CME activities that meet ABIM’s MOC requirements, expanding the available options for earning MOC points. Many of the learning activities you’ve already been participating in such as grand rounds, conferences, case discussions, and reading medical journals can now earn both MOC points and CME credits. The process will be seamless to you: once you complete the CME activity, the CME provider will report this information to ABIM and the MOC points will be applied to your MOC Status Report on abim.org. Your CME provider will be responsible for sending completion and other data to ABIM to ensure MOC credit is granted. We encourage you to visit ACCME’s website to view the list of CME activities that have currently been registered to grant MOC points. 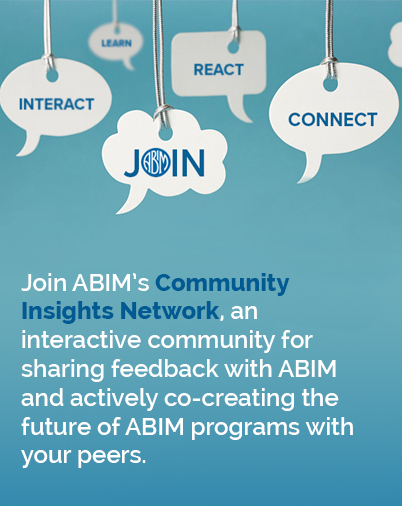 If you are currently participating in an activity which earns CME credit but is not on the list and you think it should also earn MOC points, then talk to the CME provider and encourage them to review ABIM’s Medical Knowledge Assessment Recognition Program Guide and the resources available to CME providers here. The ACCME is actively working with CME providers to build an even more robust, diverse portfolio of high-quality CME activities that count for ABIM’s MOC program. We’re confident this list will continue to expand— we update it regularly as more activities are added —and that it will serve as an important and useful resource as you continue to demonstrate you are staying current with medical knowledge and practice. Some societies and CME providers might also be able to register and submit completion information for activities completed in 2014. While many of these CME activities may have been highly educational, it is possible they may not meet the new criteria and thus may not be eligible for MOC points. If they do meet the requirements, ABIM will grant credit for activities completed in 2014. Please check with your CME provider to see if activities that you had worked on during this time qualify. This post was updated 11/17 for further clarity on CME qualifications.